Admittedly, I am not a Sunday guy. That’s more the style of Jason or RV. However, I do watch the NFL Draft if for no other reason than it is the only semblance of college football in the desolate waste of an offseason we are currently in the midst of traveling. Most years, you’ll see the bigger programs collectively mess their pants over the bevy of mock drafts that list multiple alums as folks that will hear their name called by the NFL Commissioner on draft night/weekend while the smaller schools wonder whether or not their premier prospect will even get called at all. Such is life for the MAC. Except last year, the game changed quite literally for the MidAmerican Conference as CMU’s Eric Fisher was selected first overall by the Kansas City Chiefs. This year may see the second MAC top selection as (though a longshot) Khalil Mack is a consensus top-five pick. It’s the ultimate dichotomy for a BSU fan. On the one hand, you have the prestige the conference gains from a #1 overall selection and potentially a second straight this year. On the other hand, you have to watch programs like CMU and Buffalo celebrate and be happy, which doesn’t make me a particularly jovial guy. It’s a Sophie’s Choice for sure. The year, though, BSU fans don’t just have to exert energy hating their conference brethren successes. We can instead celebrate our own as several BSU players at least have the potential to have Roger Goodell or his underling call their name and the party begin in earnest. I hope they have a cheeseball. Those things are awesome and make any party better. Crummy team and not a guaranteed roster spot? You’ll feel like Lawrence Taylor with the right cheeseball. But I digress. He isn’t Mel Kiper or Todd McShay, which is a nice little plus. He only has one Cardinal getting drafted, that being Keith Wenning, in the 6th round with the 198th overall selection to the New England Patriots. If that actually happens, which lets be honest, is a long shot, I’ll be both happy and sad. Happy that KW got drafted. Sad that other BSUers didn’t. Happy that Keith can learn from one of the best in the business. Sad that the opportunities for advancement at that locale are few and far between. 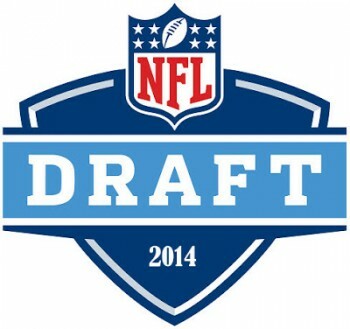 Happy that the undrafted free agents can pick the right spot for them given the depth chart, system, and competition. Sad that I would now have to actually care somewhat for the Patriots. I would feel unclean. McShay has Willie Snead and Jonathan Newsome along with Wenning ranked in the 200s of his player rankings, but one expert’s 235 in KW’s case is another expert’s 198. For your information he has Newsome the highest ranked at 219 and Snead at 278. Arbitrary? Perhaps. But believe that at your peril. Maybe I have a time machine and Biff’s sports almanac. By the way, congrats to the Browns for their four straight Super Bowls in 2021.